Since we have so little going on right now, I figured – let’s do a history post. 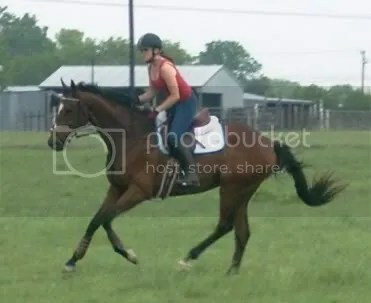 I’ve only been blogging for a little over a year, so Henry and Sadie are the only horses y’all really know, aside from quick mentions of past horses here and there. And because I never really read a lot of blogs before I started blogging myself, I don’t know a lot about most of y’alls history either. 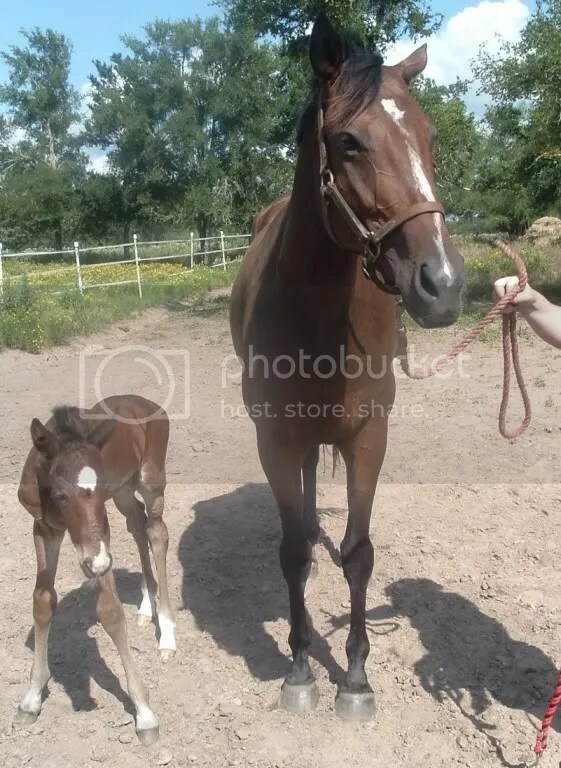 So – whether you’ve had one or one hundred, lets see all the horses you’ve ever had. 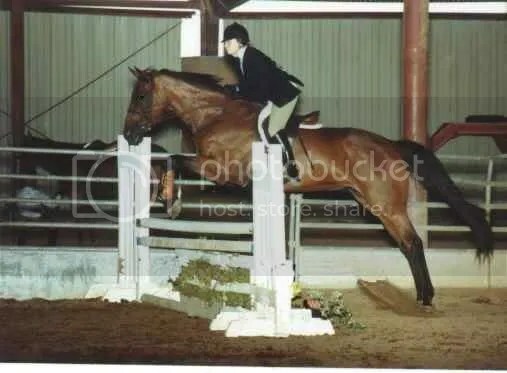 Charlie – my first, and most expensive, horse. He was still cheap, mostly because he was older, thin, roared, weaved, and really liked to run away with people. But he never refused a fence, ever, and I can count on one hand the number of rails he ever had. 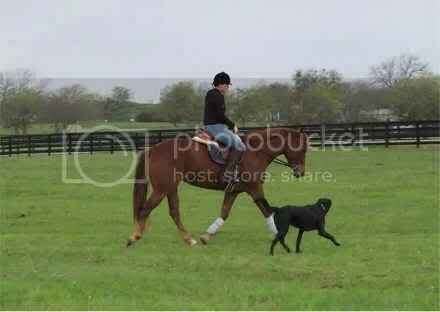 He was a nut, but he had a lot of heart, and he’s the reason I fell in love with the thoroughbred. 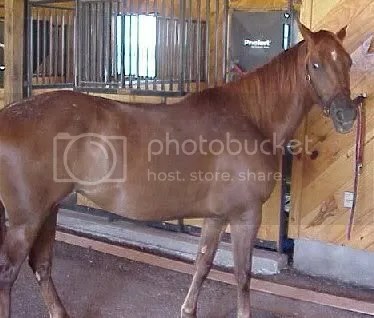 Lexi – a little unbroke pony sized QH mare that a friend and I picked up for cheap. 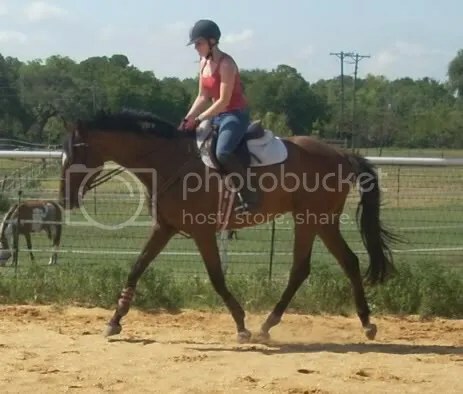 She was a really fun easy horse, perfect to be our first attempt at starting one under saddle by ourselves. 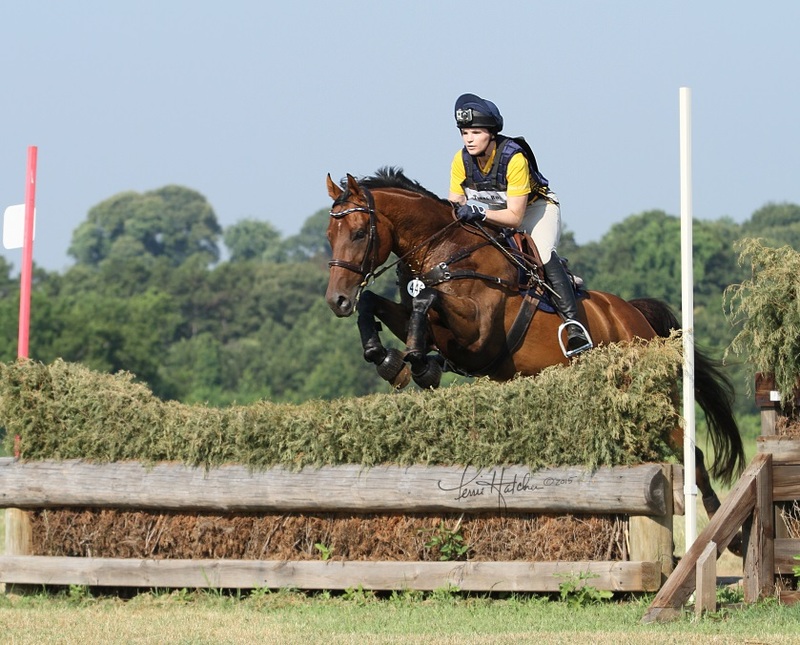 She did some eventing and was sold to a Pony Clubber as a jumper. 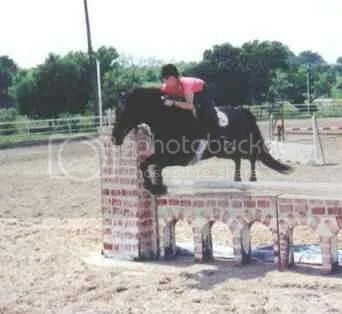 Pony had hops. Imp – Surprise! Lexi was pregnant. This little one was my first foray into babyland. 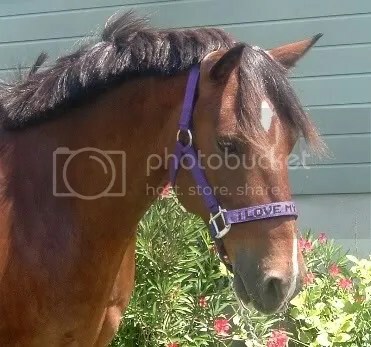 Nova – This little mare was a summer project I picked up from LOPE. She did the hunters a little and then was sold to a friend. 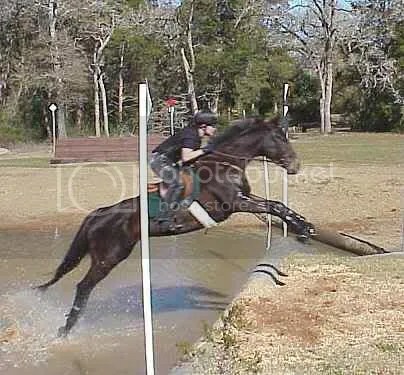 Quinn – the quintessential OTTB hunter resale horse. He paid for all of my debt at the time, and most of my car. Thanks Quinn! He also made me kind of hate doing the hunters. Ultimately I thank him for that, too. 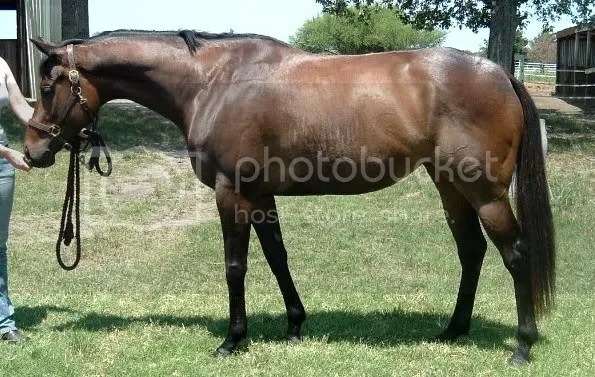 Irish – a friend (the same one who co-owned Lexi with me) and I bought this one from her picture on CANTER New Mexico to be a broodmare. 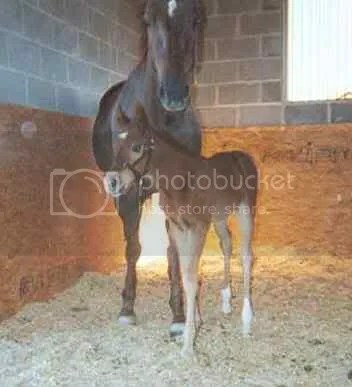 She had a beautiful foal by Westporte for my friend and then went on to be an AQHA HUS broodmare. Max – Max is what happened when I went to the scary ghetto horse auction. Poor guy seemed terrified, I couldn’t just leave him there. He eventually came around but you could tell he’d been treated really badly – it took a while just to get him to let me near his hind end, much less on him. Best guess is that he was either Welsh Cob or some kind of cross. 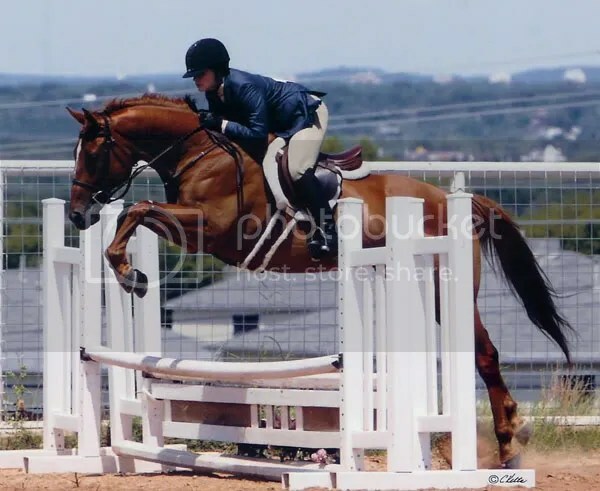 Gracie – When I got completely burnt out on h/j land I did a total 180 and bought a little QH mare off Craigslist. She belonged to a family with two little girls and completely had their number – she was very sour and rude at first. 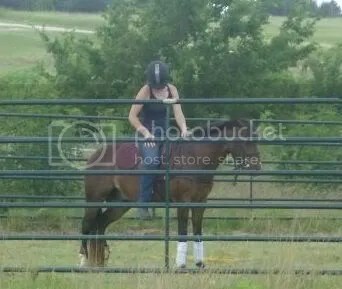 I had a lot of fun with her though, playing around with riding western, and bridleless, and going on lots of trail rides. 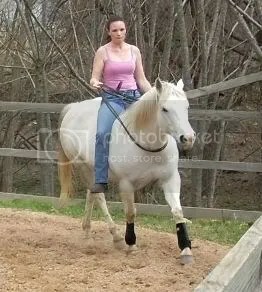 She was just what I needed at the time to remind me that this is supposed to fun, and is still giving lessons and trail rides at the barn I used to board at. 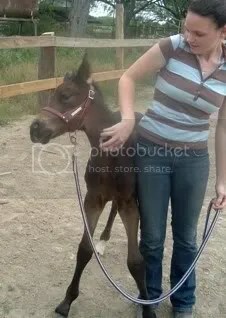 Sadie – my first, and thusfar only, homebred. 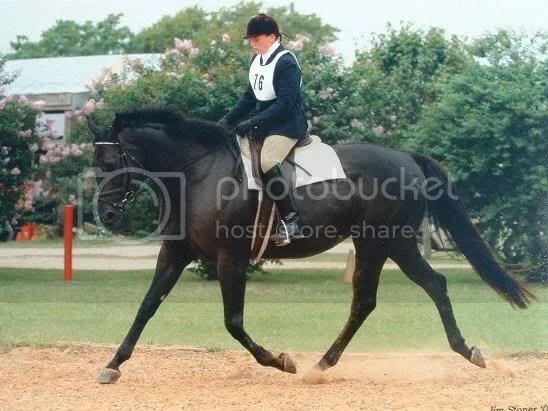 I leased the dam from a friend and bred her to Westporte… Sadie is the result. 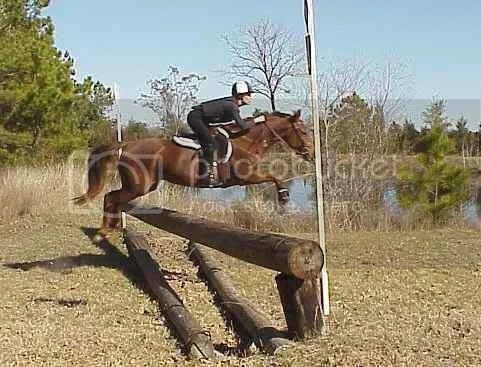 Cruz – Because who can resist a 17.2h unbroke 4yo TB as a resale project? Certainly not me. He was a fun one though, also very easy to start and get going. Henry – No introduction needed, right? Jezebel – I really don’t know if this one counts or not. Technically she belongs to my friend Michelle, and Michelle keeps telling me that she’s mine. Hers, mine, hers, mine. Whatever. We’ll call it halfsies. 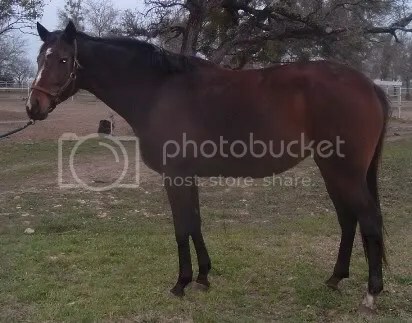 I evented her in the early-mid 2000’s when she belonged to another friend, but now she’s a broodmare. 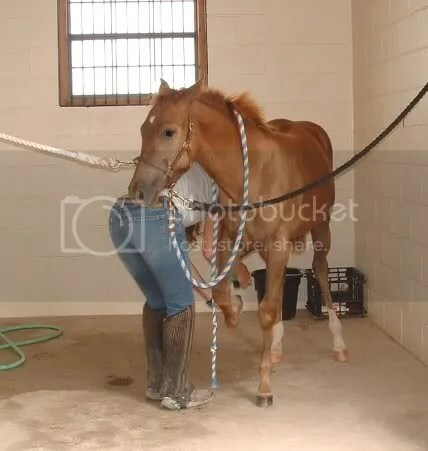 I will spare us all and not include the leased horses, lest we be here all damn day. Ultimately I’ve been really lucky to stumble upon some nice ones along the way. 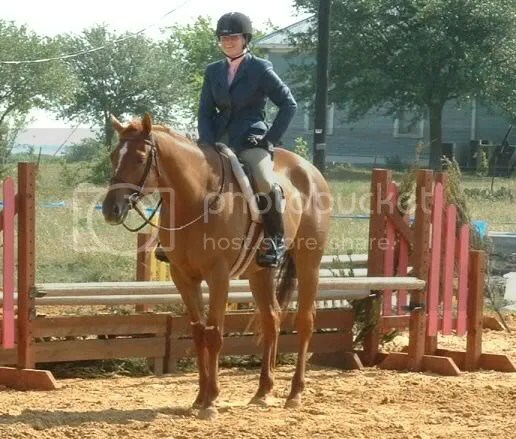 Every single one taught me something, both about horses and about myself. 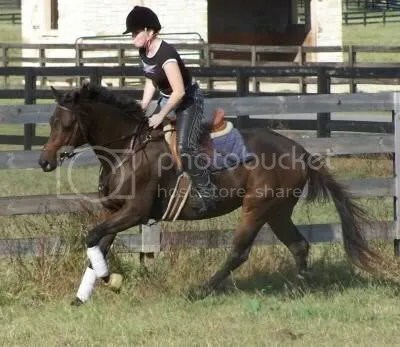 And thank goodness I’m not rich enough to have a bunch of horses… looking at my history we all know I’d have a barn full of ragtag “projects”! Biggest sucker ever. Dang girl! You’ve had quite the harem! I didn’t know you home grew Miss Sadie! Wow you have had a fair number huh?! NICE ones too!!! That’s quite the history. You’ve had so many. My total owned is 2. I’ll definitely have to participate in this 🙂 lots of fun horses it seems! I need to dig up some old pics! At least you are good at actualling SELLING your projects! I still have my two “projects” that I bought 8 & 10 years ago. But my mom has land so whatevs.I’m just doomed to drive back to OK every 6-8 weeks to hold them for the shoer for their trims. I’m sure if I had a place to stash them for free/cheap there are quite a few I’d still have! Sadly (or luckily?) I’m too poor to board them all. That’s exactly what I have to assume would happen. Oh, fun idea! I love all the pictures. I sold both my pairs of custom Journeymans a while back. I just NEVER wore them anymore. French saddles require breeches. Wow, you sure have me beat! I’m only on my second “very own,” though I leased a few growing up as well.